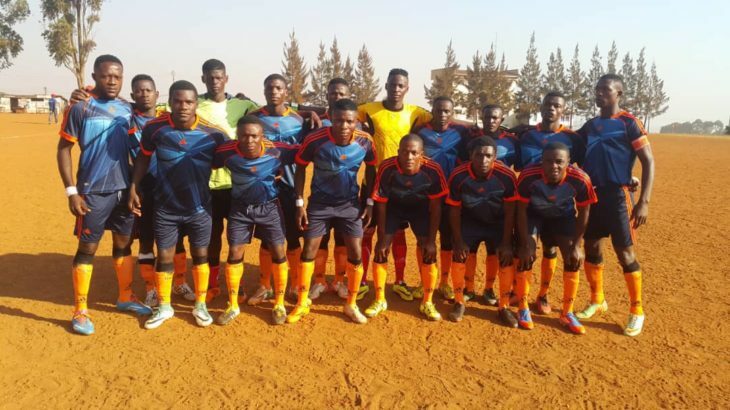 Coach Edwin Teteh and his foot soldiers braved the odds in the Dixiade competition, but could only end at the fourth position after losing to the host region in the third place playoffs. The competition began on a bad footing for the Southwest selection as they were humbled by the host west region in the first encounter. The second game of the SW region was a litmus test for coach Teteh and his boys, a derby against their Anglophone brothers of the Northwest region. The encounter was a five-goal thriller as Teteh and his boys in best of form got their first win in the competition 3-2. This left Captain Malone and his teammates with three points after two games. In the next game of the SW, they faced a formidable Far North side and were thrashed by 3-1 complicating issues for tactician Teteh and his boys. And in the final game, a must-win match for Team SW. They got the expected results beating the representatives of the South region 2-1, catapulting them into the semis behind the west region on 10 points, ahead of the Northwest with 6 points, Far North 4 points and South 3. The Southwest football boys qualified as an outcome of the Head-to-head results with the Northwest. The Semi-final was another game for the boys of the Southwest as they were paired with Centre region top of the other group. A mountain to climb as the boys from the national capital had a clean record against all opponents in the competition. Coach Edwin Teteh remained optimistic as he urged his boys to make a name and gain respect in the competition. This match saw the Southwest for the first time not conceding in the competition. Unfortunately, the Buea boys lost on post-match penalties by 3-1. The boys from Buea had a chance to make amends for a third-place playoff against the host region. A repeat of the first group stage matches which ended in favour of the West region. Team SW were laminated 4-1 by the west region. Talking to Atlantic Chronicles after the game, unsatisfied Edwin Teteh complained bitterly about the absence of two key players of his team not allowed to play because their badges were not available. He apportioned the blame on the organising committee. “The programme was very tight, playing every day and on rough dusty pitches is not really easy, bruises, injuries respiratory problems, fatigue and just 14 players to manage and no time for recuperation” made life difficult for the football tactician and his squad. “However, we thank God for bringing us up to the fourth position and keeping us till now with no major casualties as we return home tomorrow,” Coach Edwin Teteh added. Captain Che Malone also thanked God for bringing them to that level, though the team came empty handed “with no trophy or medal”, but remains positive on the lesson learnt from the competition, “ what actually brought us to this level was the solidarity, camaraderie and unity among us the players” Pride Lyonga another player added. I was recommended this website by means of my cousin. I am no longer certain whether this submit is written by him as no one else understand such unique approximately my difficulty. You’re amazing! Thanks! I am really impressed together with your writing talents as neatly as with the format on your weblog. Is that this a paid topic or did you customize it your self? Anyway keep up the excellent high quality writing, it’s uncommon to look a nice blog like this one these days.. I am commenting to make you know what a awesome encounter our princess developed visiting your site. She noticed so many details, which included what it’s like to possess an awesome coaching mindset to let the rest smoothly completely grasp chosen tortuous issues. You undoubtedly exceeded our own desires. Thank you for producing the productive, trusted, explanatory and easy guidance on that topic to Janet. I enjoy you because of your entire efforts on this web site. Kim takes pleasure in engaging in investigation and it’s easy to understand why. A lot of people notice all of the powerful medium you give both interesting and useful tricks on your blog and as well strongly encourage contribution from other individuals on the subject then my princess is now studying a whole lot. Enjoy the remaining portion of the year. You’re doing a really good job. I am glad for commenting to make you know of the beneficial discovery my cousin’s princess obtained going through yuor web blog. She realized such a lot of details, most notably what it’s like to have an amazing coaching mindset to let the mediocre ones just grasp a number of problematic matters. You actually exceeded our desires. Many thanks for giving these insightful, safe, revealing and even fun tips on your topic to Jane. Can I simply say what a aid to find someone who actually knows what theyre speaking about on the internet. You positively know tips on how to deliver an issue to gentle and make it important. More folks need to learn this and understand this side of the story. I cant believe youre no more fashionable since you positively have the gift. I together with my buddies have already been digesting the excellent procedures on your web blog and so at once I had an awful suspicion I never thanked the web blog owner for them. All of the people became totally thrilled to see them and have now undoubtedly been taking advantage of those things. Many thanks for truly being very considerate and for deciding upon varieties of cool things most people are really needing to understand about. Our sincere regret for not saying thanks to you sooner. I am glad for writing to let you understand of the fantastic encounter my friend’s princess developed studying your webblog. She picked up such a lot of pieces, which include what it’s like to possess an excellent coaching nature to let other folks clearly learn several specialized matters. You actually exceeded my expected results. I appreciate you for giving these interesting, safe, educational and also unique tips about that topic to Janet. I as well as my guys happened to be examining the nice guides from the website while before long developed a horrible suspicion I had not thanked the web site owner for those techniques. Those guys ended up for this reason thrilled to read through all of them and have in effect definitely been having fun with these things. Many thanks for simply being really thoughtful and then for selecting this kind of superb topics most people are really wanting to understand about. My very own sincere regret for not expressing gratitude to sooner. My spouse and i felt happy Emmanuel managed to carry out his homework using the ideas he discovered through the blog. It’s not at all simplistic to simply happen to be making a gift of techniques people may have been selling. We really keep in mind we have got the website owner to be grateful to for that. Most of the illustrations you have made, the simple blog menu, the friendships you help instill – it’s many fabulous, and it is making our son in addition to us do think that matter is interesting, which is certainly exceedingly pressing. Thanks for all! I precisely wanted to appreciate you yet again. I’m not certain what I would have done in the absence of the entire smart ideas contributed by you relating to my theme. It became a alarming case in my circumstances, but looking at your well-written mode you dealt with it took me to weep with contentment. I will be happy for this support and then believe you comprehend what an amazing job that you’re carrying out training people thru your webpage. Probably you have never met all of us. Thank you for all your effort on this website. My mum takes pleasure in managing investigation and it is simple to grasp why. My partner and i learn all regarding the powerful means you deliver sensible ideas by means of your web site and as well as improve contribution from other ones about this idea and my girl has always been studying a lot. Enjoy the rest of the new year. You are performing a glorious job. Thank you a lot for giving everyone remarkably special opportunity to check tips from this blog. It is often so kind plus full of a great time for me and my office acquaintances to search your website really thrice a week to see the new guidance you have. And definitely, I’m also usually pleased with the fabulous hints served by you. Some 2 areas in this posting are essentially the best I have ever had. I simply wished to say thanks once again. I am not sure what I would’ve sorted out in the absence of the actual techniques provided by you over such area. This has been a depressing situation for me personally, but viewing the very specialized form you dealt with that made me to weep over contentment. Now i’m grateful for the guidance and expect you are aware of a great job you’re accomplishing teaching the others with the aid of your websites. Most likely you’ve never met all of us. I am just writing to let you understand of the brilliant experience my friend’s daughter undergone going through your site. She realized lots of issues, not to mention what it’s like to have a wonderful coaching mood to have other folks effortlessly grasp various extremely tough matters. You truly exceeded visitors’ expected results. Thanks for presenting the valuable, trusted, edifying not to mention unique tips on that topic to Mary. I just wanted to type a remark to be able to express gratitude to you for all the stunning tactics you are giving on this website. My long internet search has at the end been compensated with good knowledge to talk about with my family and friends. I ‘d declare that many of us visitors actually are undeniably blessed to live in a perfect network with so many special professionals with helpful hints. I feel extremely grateful to have seen the webpages and look forward to some more excellent times reading here. Thanks again for a lot of things. I truly wanted to post a brief word in order to say thanks to you for those wonderful suggestions you are sharing on this site. My extended internet lookup has now been recognized with awesome suggestions to write about with my best friends. I would declare that most of us visitors actually are rather blessed to live in a useful community with so many brilliant individuals with insightful suggestions. I feel very blessed to have encountered your entire web pages and look forward to many more entertaining minutes reading here. Thanks again for everything. I just want to tell you that I’m very new to blogging and site-building and seriously enjoyed you’re web blog. Likely I’m planning to bookmark your website . You certainly have fabulous articles. Regards for revealing your webpage. I simply wanted to say thanks once more. I’m not certain the things I might have undertaken in the absence of the entire ways revealed by you regarding this subject matter. This was a very difficult matter for me, however , seeing a well-written tactic you managed that made me to cry with joy. Now i’m grateful for this advice and as well , trust you recognize what an amazing job that you are providing teaching people today through the use of your site. I know that you’ve never got to know all of us. I am now not certain where you’re getting your information, however great topic. I must spend a while finding out more or working out more. Thanks for magnificent information I used to be searching for this information for my mission. I’ve been surfing online greater than three hours lately, yet I by no means discovered any attention-grabbing article like yours. It is pretty worth sufficient for me. In my view, if all site owners and bloggers made excellent content as you did, the web will be a lot more helpful than ever before. You actually make it seem so easy along with your presentation however I in finding this matter to be actually one thing which I think I would never understand. It sort of feels too complex and very large for me. I’m having a look ahead for your next put up, I¡¦ll try to get the cling of it! Hello there, I discovered your site by means of Google while looking for a similar matter, your web site got here up, it appears great. I’ve bookmarked it in my google bookmarks. I am writing to let you be aware of what a fine experience my daughter encountered studying yuor web blog. She came to understand a good number of issues, with the inclusion of what it’s like to have an amazing helping heart to let many others quite simply comprehend a variety of complex matters. You really exceeded readers’ expected results. I appreciate you for providing those useful, dependable, explanatory and fun thoughts on the topic to Kate. You actually make it seem so easy together with your presentation however I in finding this matter to be really something which I believe I would by no means understand. It kind of feels too complicated and very huge for me. I am looking forward for your next publish, I will try to get the grasp of it! I have been browsing online greater than three hours these days, yet I by no means discovered any interesting article like yours. It is beautiful value sufficient for me. Personally, if all web owners and bloggers made just right content as you probably did, the web will be much more useful than ever before. I’m still learning from you, but I’m improving myself. I definitely liked reading everything that is written on your website.Keep the tips coming. I loved it! Normally I do not read article on blogs, however I wish to say that this write-up very pressured me to take a look at and do it! Your writing taste has been surprised me. Thank you, quite great post. Whats Taking place i am new to this, I stumbled upon this I have found It positively useful and it has helped me out loads. I’m hoping to contribute & assist other users like its aided me. Great job. Fantastic goods from you, man. I’ve understand your stuff previous to and you are just too fantastic. I really like what you have acquired here, really like what you are stating and the way in which you say it. You make it entertaining and you still care for to keep it sensible. I cant wait to read much more from you. This is actually a wonderful website. Thanks for any other informative website. Where else may just I am getting that type of information written in such a perfect method? I’ve a undertaking that I’m simply now operating on, and I’ve been on the look out for such info. Fantastic web site. Lots of helpful info here. I am sending it to several buddies ans additionally sharing in delicious. And obviously, thanks for your effort! I just want to mention I’m very new to blogging and certainly enjoyed this blog. Probably I’m planning to bookmark your blog post . You absolutely come with exceptional writings. Kudos for sharing your web page. Great awesome things here. I¡¦m very glad to look your article. Thanks a lot and i am looking ahead to touch you. Will you please drop me a e-mail? Hi, Neat post. There’s an issue together with your site in web explorer, would test this¡K IE still is the marketplace chief and a large part of other folks will omit your excellent writing due to this problem. A person necessarily assist to make seriously articles I’d state. That is the first time I frequented your web page and up to now? I amazed with the analysis you made to make this particular post incredible. Wonderful process! I carry on listening to the reports lecture about receiving free online grant applications so I have been looking around for the best site to get one. Could you advise me please, where could i acquire some? excellent post, very informative. I’m wondering why the opposite specialists of this sector don’t notice this. You should proceed your writing. I am confident, you’ve a great readers’ base already! Normally I do not learn article on blogs, but I wish to say that this write-up very pressured me to check out and do it! Your writing style has been surprised me. Thanks, quite great article. excellent submit, very informative. I wonder why the opposite experts of this sector don’t realize this. You should continue your writing. I’m confident, you have a huge readers’ base already! Good ¡V I should definitely pronounce, impressed with your site. I had no trouble navigating through all the tabs as well as related information ended up being truly simple to do to access. I recently found what I hoped for before you know it at all. Reasonably unusual. Is likely to appreciate it for those who add forums or something, website theme . a tones way for your client to communicate. Excellent task..
obviously like your web-site but you need to take a look at the spelling on several of your posts. Many of them are rife with spelling issues and I to find it very bothersome to tell the truth then again I¡¦ll definitely come again again. I would like to show my passion for your kind-heartedness supporting persons who have the need for help with this area of interest. Your very own dedication to passing the solution all-around appeared to be particularly functional and have usually made professionals like me to arrive at their ambitions. Your personal insightful key points can mean a great deal to me and even further to my colleagues. Regards; from each one of us. Hey there. I discovered your web site by the use of Google at the same time as searching for a comparable topic, your web site got here up. It appears good. I’ve bookmarked it in my google bookmarks to visit then. My spouse and i felt so relieved that Peter could conclude his analysis while using the precious recommendations he made from your blog. It’s not at all simplistic to just be giving freely key points which some people may have been making money from. And now we consider we need the writer to thank because of that. The entire illustrations you’ve made, the straightforward web site menu, the relationships you will assist to promote – it’s many powerful, and it’s aiding our son in addition to our family recognize that the subject is enjoyable, and that’s especially mandatory. Thank you for the whole lot! What i don’t realize is in truth how you’re now not actually much more neatly-favored than you may be now. You are so intelligent. You recognize therefore considerably in terms of this topic, made me in my view imagine it from numerous varied angles. Its like men and women are not fascinated unless it¡¦s something to do with Lady gaga! Your individual stuffs outstanding. All the time deal with it up! I’ve been surfing on-line more than three hours nowadays, yet I by no means found any interesting article like yours. It¡¦s pretty worth sufficient for me. In my view, if all site owners and bloggers made excellent content material as you did, the web shall be much more useful than ever before. great points altogether, you just won a new reader. What might you recommend in regards to your post that you made some days ago? Any sure? Hello there. I discovered your blog by the use of Google whilst looking for a comparable subject, your website came up. It appears great. I’ve bookmarked it in my google bookmarks to visit then. Hi there. I discovered your blog by way of Google whilst searching for a similar topic, your web site got here up. It appears to be great. I have bookmarked it in my google bookmarks to visit then. Hello there. I discovered your website via Google even as searching for a related subject, your site got here up. It appears to be great. I’ve bookmarked it in my google bookmarks to come back then. Hiya, I’m really glad I have found this information. Today bloggers publish only about gossip and internet stuff and this is actually frustrating. A good website with interesting content, that is what I need. Thanks for making this web site, and I will be visiting again. Do you do newsletters by email? It is actually a nice and useful piece of information. I¡¦m glad that you shared this useful info with us. Please stay us informed like this. Thank you for sharing. Thank you a lot for giving everyone an exceptionally breathtaking chance to read in detail from this website. It is usually very superb and also jam-packed with amusement for me personally and my office mates to visit your blog minimum three times every week to learn the fresh secrets you have. And definitely, I am just usually fascinated with your astonishing inspiring ideas served by you. Some two points in this article are in truth the most beneficial we have had. Hiya, I am really glad I’ve found this information. Nowadays bloggers publish just about gossip and web stuff and this is really irritating. A good web site with interesting content, that is what I need. Thanks for making this website, and I’ll be visiting again. Do you do newsletters by email? Hi there. I discovered your site by means of Google even as searching for a related matter, your website came up. It appears great. I have bookmarked it in my google bookmarks to visit then. Hey there. I discovered your website by way of Google whilst searching for a related topic, your website got here up. It seems to be great. I’ve bookmarked it in my google bookmarks to visit then. Hey there. I found your blog by means of Google at the same time as looking for a related matter, your web site got here up. It seems great. I have bookmarked it in my google bookmarks to come back then. Hiya, I’m really glad I’ve found this information. Nowadays bloggers publish only about gossip and web stuff and this is really frustrating. A good site with interesting content, this is what I need. Thank you for making this site, and I’ll be visiting again. Do you do newsletters by email? Hi there. I found your website by means of Google while looking for a similar topic, your site came up. It appears to be good. I’ve bookmarked it in my google bookmarks to come back then. Hi there. I found your blog via Google at the same time as searching for a comparable matter, your site came up. It seems to be good. I have bookmarked it in my google bookmarks to visit then. Hiya, I’m really glad I have found this info. Nowadays bloggers publish just about gossip and internet stuff and this is really annoying. A good site with exciting content, that is what I need. Thank you for making this website, and I’ll be visiting again. Do you do newsletters by email? Hiya, I’m really glad I’ve found this information. Today bloggers publish only about gossip and net stuff and this is actually irritating. A good blog with exciting content, that is what I need. Thanks for making this site, and I’ll be visiting again. Do you do newsletters by email? Hiya, I’m really glad I’ve found this info. Today bloggers publish just about gossip and internet stuff and this is actually irritating. A good blog with exciting content, that is what I need. Thanks for making this web-site, and I will be visiting again. Do you do newsletters by email? hello!,I love your writing very much! percentage we communicate extra approximately your post on AOL? I require an expert in this house to resolve my problem. May be that is you! Taking a look forward to peer you. Good ¡V I should definitely pronounce, impressed with your web site. I had no trouble navigating through all the tabs as well as related information ended up being truly simple to do to access. I recently found what I hoped for before you know it in the least. Reasonably unusual. Is likely to appreciate it for those who add forums or something, site theme . a tones way for your customer to communicate. Nice task..
Hiya, I am really glad I’ve found this info. Nowadays bloggers publish only about gossip and internet stuff and this is really irritating. A good web site with interesting content, that is what I need. Thank you for making this web-site, and I’ll be visiting again. Do you do newsletters by email? I do agree with all the ideas you’ve introduced in your post. They are very convincing and will definitely work. Still, the posts are too short for novices. May you please extend them a little from subsequent time? Thank you for the post. Hiya, I am really glad I’ve found this information. Today bloggers publish just about gossip and internet stuff and this is actually irritating. A good site with exciting content, this is what I need. Thank you for making this website, and I’ll be visiting again. Do you do newsletters by email? Hi there. I discovered your blog via Google at the same time as looking for a similar topic, your site came up. It seems good. I have bookmarked it in my google bookmarks to come back then. Hiya, I am really glad I’ve found this info. Today bloggers publish only about gossip and net stuff and this is really irritating. A good site with interesting content, this is what I need. Thank you for making this website, and I will be visiting again. Do you do newsletters by email? Hey there. I discovered your website by way of Google while searching for a comparable topic, your website got here up. It looks great. I’ve bookmarked it in my google bookmarks to visit then. great points altogether, you just received a new reader. What would you recommend about your publish that you just made some days in the past? Any sure? Thank you for some other informative site. Where else may just I am getting that type of info written in such an ideal method? I have a venture that I am simply now operating on, and I have been on the look out for such information. Helpful information. Fortunate me I found your website by accident, and I’m shocked why this coincidence didn’t came about earlier! I bookmarked it. Hiya, I’m really glad I have found this info. Nowadays bloggers publish just about gossip and web stuff and this is really frustrating. A good web site with exciting content, that is what I need. Thanks for making this web-site, and I’ll be visiting again. Do you do newsletters by email? I am now not positive where you are getting your information, but great topic. I needs to spend some time finding out more or working out more. Thank you for excellent information I used to be searching for this info for my mission. certainly like your web site however you need to take a look at the spelling on several of your posts. A number of them are rife with spelling issues and I in finding it very troublesome to tell the truth then again I¡¦ll definitely come again again. Hello there. I discovered your blog by the use of Google whilst looking for a related subject, your website came up. It appears to be good. I’ve bookmarked it in my google bookmarks to come back then. Hey there. I found your site via Google even as looking for a related matter, your web site came up. It appears to be great. I have bookmarked it in my google bookmarks to come back then. I have been exploring for a bit for any high quality articles or blog posts on this sort of space . Exploring in Yahoo I ultimately stumbled upon this web site. Studying this info So i¡¦m glad to show that I have an incredibly just right uncanny feeling I discovered exactly what I needed. I most no doubt will make sure to do not fail to remember this website and provides it a glance on a constant basis. Hiya, I am really glad I’ve found this information. Today bloggers publish only about gossip and web stuff and this is really annoying. A good website with exciting content, that’s what I need. Thank you for making this web site, and I will be visiting again. Do you do newsletters by email? Hi there. I discovered your blog by way of Google whilst searching for a similar subject, your site got here up. It seems great. I have bookmarked it in my google bookmarks to come back then. Hiya, I’m really glad I’ve found this information. Today bloggers publish only about gossip and web stuff and this is really irritating. A good blog with interesting content, this is what I need. Thank you for making this site, and I will be visiting again. Do you do newsletters by email? Hi there. I discovered your blog by means of Google at the same time as searching for a related subject, your site came up. It seems to be great. I have bookmarked it in my google bookmarks to come back then. Hi there. I discovered your web site via Google even as looking for a similar topic, your website came up. It seems to be great. I’ve bookmarked it in my google bookmarks to come back then. you’re really a good webmaster. The website loading pace is amazing. It seems that you are doing any distinctive trick. Also, The contents are masterwork. you’ve performed a fantastic task on this subject! Normally I don’t learn post on blogs, however I would like to say that this write-up very pressured me to check out and do it! Your writing style has been amazed me. Thanks, quite nice article. Hello there. I found your site by way of Google while looking for a comparable subject, your website came up. It looks good. I have bookmarked it in my google bookmarks to come back then. Hello there. I discovered your blog by way of Google whilst looking for a comparable topic, your web site got here up. It seems good. I have bookmarked it in my google bookmarks to come back then. Hi there. I discovered your website by the use of Google while searching for a similar matter, your website got here up. It looks great. I have bookmarked it in my google bookmarks to visit then. Hi there. I found your web site by way of Google while searching for a related topic, your website got here up. It looks good. I’ve bookmarked it in my google bookmarks to come back then. I would like to thnkx for the efforts you’ve put in writing this blog. I am hoping the same high-grade site post from you in the upcoming as well. Actually your creative writing skills has inspired me to get my own web site now. Actually the blogging is spreading its wings fast. Your write up is a great example of it. Thank you for another wonderful article. The place else could anybody get that kind of information in such a perfect means of writing? I’ve a presentation subsequent week, and I’m on the look for such info. Thank you for some other fantastic post. The place else could anyone get that kind of info in such an ideal manner of writing? I’ve a presentation next week, and I’m at the look for such information. A lot of thanks for your whole efforts on this website. Ellie take interest in getting into investigation and it’s simple to grasp why. A number of us notice all about the dynamic method you offer useful guidelines via your website and as well attract contribution from other ones on that topic then our princess has always been studying a lot of things. Enjoy the rest of the new year. You are always conducting a pretty cool job. Hiya, I’m really glad I’ve found this info. Today bloggers publish only about gossip and web stuff and this is actually annoying. A good blog with exciting content, this is what I need. Thanks for making this web site, and I’ll be visiting again. Do you do newsletters by email? Hey there. I found your web site by way of Google while looking for a comparable subject, your site got here up. It seems good. I have bookmarked it in my google bookmarks to visit then. Hey there. I found your blog by way of Google while searching for a comparable topic, your website got here up. It appears to be good. I’ve bookmarked it in my google bookmarks to come back then. Hey there. I discovered your blog via Google whilst looking for a comparable matter, your web site got here up. It appears good. I have bookmarked it in my google bookmarks to visit then. Hiya, I am really glad I have found this information. Nowadays bloggers publish just about gossip and web stuff and this is actually irritating. A good blog with exciting content, that is what I need. Thank you for making this website, and I will be visiting again. Do you do newsletters by email? Hi there. I discovered your website by the use of Google at the same time as looking for a comparable topic, your site got here up. It appears good. I have bookmarked it in my google bookmarks to visit then. Hiya, I’m really glad I have found this info. Nowadays bloggers publish only about gossip and internet stuff and this is actually frustrating. A good web site with interesting content, that is what I need. Thanks for making this web site, and I’ll be visiting again. Do you do newsletters by email? I do agree with all of the concepts you’ve presented in your post. They’re very convincing and will certainly work. Still, the posts are too quick for novices. May just you please prolong them a bit from subsequent time? Thanks for the post. Hello there. I discovered your web site via Google at the same time as searching for a similar matter, your web site got here up. It seems to be great. I have bookmarked it in my google bookmarks to come back then. Hey there. I discovered your site by the use of Google whilst searching for a similar subject, your site came up. It seems to be great. I’ve bookmarked it in my google bookmarks to come back then. Hello there. I discovered your site by the use of Google at the same time as looking for a related subject, your web site got here up. It appears to be great. I have bookmarked it in my google bookmarks to visit then. Hello there. I discovered your site by means of Google while looking for a related matter, your website got here up. It seems good. I have bookmarked it in my google bookmarks to come back then. Hiya, I’m really glad I’ve found this info. Today bloggers publish just about gossip and internet stuff and this is actually frustrating. A good web site with interesting content, that is what I need. Thanks for making this site, and I’ll be visiting again. Do you do newsletters by email? Hey there. I found your website by the use of Google whilst looking for a comparable matter, your site got here up. It looks great. I have bookmarked it in my google bookmarks to visit then. Hiya, I am really glad I have found this information. Today bloggers publish just about gossip and web stuff and this is actually frustrating. A good website with exciting content, that is what I need. Thanks for making this website, and I’ll be visiting again. Do you do newsletters by email? Hey there. I discovered your site by means of Google at the same time as looking for a comparable topic, your web site came up. It appears great. I’ve bookmarked it in my google bookmarks to visit then. Hi there very cool web site!! Man .. Beautiful .. Amazing .. I will bookmark your blog and take the feeds also¡KI am satisfied to seek out numerous helpful info here in the publish, we’d like work out more strategies on this regard, thank you for sharing. . . . . .
Hiya, I’m really glad I have found this info. Nowadays bloggers publish just about gossip and web stuff and this is really frustrating. A good web site with exciting content, that’s what I need. Thank you for making this web site, and I’ll be visiting again. Do you do newsletters by email? I am also commenting to make you be aware of of the amazing experience my wife’s princess went through studying your web site. She realized too many things, not to mention how it is like to possess a very effective giving mindset to make certain people easily know specific very confusing topics. You undoubtedly exceeded my expected results. Thank you for coming up with these good, healthy, revealing and in addition cool tips on this topic to Gloria. Hi there. I discovered your web site by means of Google even as looking for a comparable subject, your web site came up. It looks great. I have bookmarked it in my google bookmarks to visit then. Hiya, I’m really glad I’ve found this info. Today bloggers publish only about gossip and net stuff and this is actually annoying. A good blog with exciting content, this is what I need. Thank you for making this web-site, and I’ll be visiting again. Do you do newsletters by email? Hey there. I discovered your website by way of Google even as searching for a related subject, your web site got here up. It looks great. I have bookmarked it in my google bookmarks to visit then. Hi there. I discovered your blog by the use of Google while searching for a similar topic, your web site got here up. It seems to be good. I’ve bookmarked it in my google bookmarks to come back then. Hiya, I’m really glad I’ve found this information. Today bloggers publish just about gossip and internet stuff and this is really frustrating. A good site with interesting content, this is what I need. Thank you for making this web site, and I will be visiting again. Do you do newsletters by email? Hi there. I found your website by means of Google at the same time as looking for a comparable matter, your site got here up. It appears good. I have bookmarked it in my google bookmarks to visit then. Hiya, I’m really glad I have found this info. Nowadays bloggers publish only about gossip and web stuff and this is actually irritating. A good blog with exciting content, that is what I need. Thank you for making this website, and I’ll be visiting again. Do you do newsletters by email? Hiya, I am really glad I’ve found this information. Nowadays bloggers publish just about gossip and web stuff and this is really irritating. A good web site with exciting content, this is what I need. Thanks for making this site, and I’ll be visiting again. Do you do newsletters by email? Hiya, I’m really glad I’ve found this info. Nowadays bloggers publish only about gossip and web stuff and this is actually annoying. A good website with interesting content, that’s what I need. Thanks for making this web site, and I’ll be visiting again. Do you do newsletters by email? Excellent post. I was checking constantly this blog and I’m impressed! Extremely useful info specially the last part 🙂 I care for such information a lot. I was looking for this certain info for a long time. Thank you and good luck. Somebody necessarily help to make severely articles I would state. This is the first time I frequented your web page and to this point? I amazed with the analysis you made to create this particular post incredible. Great task! Hiya, I’m really glad I’ve found this information. Nowadays bloggers publish just about gossip and net stuff and this is actually irritating. A good site with interesting content, that is what I need. Thanks for making this website, and I will be visiting again. Do you do newsletters by email? Hiya, I am really glad I’ve found this info. Nowadays bloggers publish just about gossip and internet stuff and this is really irritating. A good blog with exciting content, this is what I need. Thank you for making this web site, and I will be visiting again. Do you do newsletters by email? Hey there. I found your web site by way of Google even as searching for a comparable subject, your website came up. It looks good. I’ve bookmarked it in my google bookmarks to visit then. Hey there. I found your blog via Google whilst searching for a related topic, your site came up. It appears to be good. I have bookmarked it in my google bookmarks to come back then. Hiya, I’m really glad I have found this information. Nowadays bloggers publish only about gossip and net stuff and this is really irritating. A good website with exciting content, that is what I need. Thanks for making this web-site, and I will be visiting again. Do you do newsletters by email? I just want to say I am all new to blogging and certainly loved you’re web-site. Probably I’m likely to bookmark your blog . You absolutely come with amazing posts. Thanks for revealing your blog site. Hello there. I discovered your website by means of Google while looking for a similar matter, your web site got here up. It seems to be good. I have bookmarked it in my google bookmarks to come back then. great issues altogether, you just received a logo new reader. What may you recommend in regards to your put up that you just made a few days in the past? Any sure? Hello there. I found your blog by the use of Google even as looking for a similar topic, your web site came up. It seems good. I have bookmarked it in my google bookmarks to visit then. Hiya, I am really glad I have found this info. Today bloggers publish only about gossip and net stuff and this is really annoying. A good blog with exciting content, that’s what I need. Thanks for making this website, and I will be visiting again. Do you do newsletters by email? Hiya, I am really glad I have found this info. Today bloggers publish only about gossip and net stuff and this is really frustrating. A good website with exciting content, this is what I need. Thank you for making this website, and I’ll be visiting again. Do you do newsletters by email? Normally I don’t read post on blogs, but I wish to say that this write-up very pressured me to try and do it! Your writing style has been surprised me. Thank you, quite nice post. magnificent points altogether, you just received a new reader. What could you recommend in regards to your publish that you made a few days ago? Any sure? Hello there. I found your site by the use of Google whilst searching for a related subject, your web site came up. It appears to be great. I’ve bookmarked it in my google bookmarks to come back then. Hello there. I discovered your web site via Google even as searching for a comparable subject, your web site got here up. It looks good. I have bookmarked it in my google bookmarks to visit then. Hiya, I’m really glad I’ve found this information. Nowadays bloggers publish only about gossip and internet stuff and this is actually irritating. A good web site with exciting content, this is what I need. Thank you for making this web-site, and I’ll be visiting again. Do you do newsletters by email? Hi there. I discovered your web site by means of Google even as searching for a similar topic, your web site came up. It appears great. I’ve bookmarked it in my google bookmarks to come back then. Hi there. I found your web site by the use of Google at the same time as searching for a comparable topic, your web site got here up. It seems to be good. I have bookmarked it in my google bookmarks to visit then. Hiya, I am really glad I have found this information. Nowadays bloggers publish only about gossips and internet and this is actually annoying. A good site with exciting content, this is what I need. Thank you for keeping this website, I’ll be visiting it. Do you do newsletters? Cant find it. Just wish to say your article is as astonishing. The clearness in your post is simply great and i can assume you are an expert on this subject. Well with your permission let me to grab your feed to keep updated with forthcoming post. Thanks a million and please carry on the gratifying work. Thanks for any other informative blog. The place else may I am getting that type of info written in such a perfect manner? I have a mission that I’m just now running on, and I have been at the look out for such information. Hiya, I am really glad I’ve found this information. Nowadays bloggers publish only about gossip and web stuff and this is really annoying. A good blog with exciting content, that’s what I need. Thank you for making this website, and I will be visiting again. Do you do newsletters by email? Hiya, I’m really glad I have found this info. Today bloggers publish just about gossip and internet stuff and this is actually frustrating. A good blog with exciting content, that’s what I need. Thanks for making this website, and I will be visiting again. Do you do newsletters by email? Hello there. I discovered your web site by means of Google whilst looking for a similar topic, your website got here up. It appears good. I’ve bookmarked it in my google bookmarks to visit then. Hi there. I discovered your blog by the use of Google even as looking for a similar matter, your website came up. It seems to be great. I have bookmarked it in my google bookmarks to visit then. Hey there. I discovered your site by way of Google while looking for a related topic, your website got here up. It looks good. I have bookmarked it in my google bookmarks to visit then. Hiya, I am really glad I have found this information. Nowadays bloggers publish just about gossip and net stuff and this is really irritating. A good website with exciting content, this is what I need. Thank you for making this web-site, and I will be visiting again. Do you do newsletters by email? Hello there. I found your blog by means of Google whilst looking for a comparable topic, your web site got here up. It looks good. I’ve bookmarked it in my google bookmarks to come back then. Hey there. I found your site by the use of Google while looking for a related subject, your web site got here up. It looks good. I’ve bookmarked it in my google bookmarks to come back then. Hey there. I discovered your website by way of Google whilst searching for a comparable subject, your web site came up. It seems to be great. I’ve bookmarked it in my google bookmarks to visit then. Hiya, I’m really glad I have found this information. Nowadays bloggers publish only about gossip and net stuff and this is actually frustrating. A good site with exciting content, this is what I need. Thank you for making this web-site, and I’ll be visiting again. Do you do newsletters by email? Hiya, I’m really glad I have found this information. Nowadays bloggers publish only about gossip and net stuff and this is actually annoying. A good website with interesting content, that is what I need. Thanks for making this web-site, and I will be visiting again. Do you do newsletters by email? Hello there. I discovered your web site by means of Google whilst looking for a related subject, your site got here up. It seems great. I have bookmarked it in my google bookmarks to come back then. Hiya, I’m really glad I’ve found this info. Today bloggers publish just about gossip and net stuff and this is really irritating. A good blog with interesting content, this is what I need. Thank you for making this website, and I will be visiting again. Do you do newsletters by email? I was just searching for this info for some time. After 6 hours of continuous Googleing, at last I got it in your web site. I wonder what is the lack of Google strategy that don’t rank this kind of informative sites in top of the list. Normally the top sites are full of garbage. Hiya, I’m really glad I have found this info. Today bloggers publish just about gossip and internet stuff and this is actually irritating. A good blog with exciting content, that’s what I need. Thank you for making this site, and I’ll be visiting again. Do you do newsletters by email? Hello there. I discovered your website via Google even as searching for a comparable matter, your web site got here up. It seems good. I’ve bookmarked it in my google bookmarks to come back then. Hi there. I found your web site via Google whilst looking for a similar subject, your web site got here up. It looks great. I have bookmarked it in my google bookmarks to visit then. Hey there. I discovered your website via Google whilst searching for a related subject, your website got here up. It seems good. I’ve bookmarked it in my google bookmarks to visit then. Hiya, I’m really glad I have found this information. Today bloggers publish only about gossip and internet stuff and this is really annoying. A good site with interesting content, that’s what I need. Thank you for making this web site, and I’ll be visiting again. Do you do newsletters by email? I¡¦ve learn several good stuff here. Definitely value bookmarking for revisiting. I wonder how so much effort you place to create this kind of fantastic informative web site. Hi there. I found your blog via Google at the same time as looking for a similar matter, your site got here up. It seems to be great. I’ve bookmarked it in my google bookmarks to come back then. Hiya, I’m really glad I’ve found this info. Nowadays bloggers publish just about gossip and net stuff and this is really irritating. A good site with interesting content, that’s what I need. Thank you for making this web site, and I’ll be visiting again. Do you do newsletters by email? Hiya, I am really glad I have found this information. Today bloggers publish just about gossip and internet stuff and this is really irritating. A good web site with interesting content, that’s what I need. Thanks for making this web site, and I’ll be visiting again. Do you do newsletters by email? Hiya, I’m really glad I have found this info. Today bloggers publish only about gossip and net stuff and this is actually frustrating. A good blog with exciting content, this is what I need. Thank you for making this website, and I’ll be visiting again. Do you do newsletters by email? Hey there. I discovered your web site by the use of Google at the same time as searching for a comparable subject, your website got here up. It appears great. I have bookmarked it in my google bookmarks to visit then. Hello there. I discovered your site via Google even as searching for a similar subject, your site came up. It seems to be good. I’ve bookmarked it in my google bookmarks to visit then. Hiya, I am really glad I have found this information. Nowadays bloggers publish just about gossip and net stuff and this is really annoying. A good web site with exciting content, that is what I need. Thank you for making this site, and I will be visiting again. Do you do newsletters by email? Hiya, I am really glad I have found this information. Today bloggers publish only about gossip and internet stuff and this is actually frustrating. A good website with interesting content, that’s what I need. Thank you for making this web site, and I’ll be visiting again. Do you do newsletters by email? Hello there. I found your website via Google at the same time as looking for a related subject, your site came up. It appears to be great. I have bookmarked it in my google bookmarks to visit then. Hello there. I found your blog by means of Google whilst searching for a related matter, your site got here up. It seems good. I have bookmarked it in my google bookmarks to come back then. Hi there. I found your site via Google whilst looking for a related topic, your website came up. It looks good. I’ve bookmarked it in my google bookmarks to visit then. Hello there. I found your website by way of Google even as searching for a comparable topic, your site got here up. It seems to be good. I’ve bookmarked it in my google bookmarks to come back then. Hiya, I’m really glad I have found this info. Nowadays bloggers publish just about gossip and internet stuff and this is really annoying. A good site with exciting content, this is what I need. Thanks for making this website, and I will be visiting again. Do you do newsletters by email? Hey there. I discovered your website by way of Google at the same time as searching for a similar subject, your web site came up. It appears to be good. I’ve bookmarked it in my google bookmarks to come back then. Hello there. I discovered your blog by means of Google whilst looking for a comparable matter, your site came up. It appears to be great. I have bookmarked it in my google bookmarks to come back then. Hiya, I am really glad I have found this information. Today bloggers publish just about gossip and internet stuff and this is really irritating. A good blog with interesting content, this is what I need. Thanks for making this web-site, and I’ll be visiting again. Do you do newsletters by email? Hey there. I discovered your site by way of Google even as searching for a similar topic, your website came up. It appears great. I’ve bookmarked it in my google bookmarks to come back then. Hello there. I found your blog by way of Google even as searching for a comparable topic, your website came up. It seems good. I’ve bookmarked it in my google bookmarks to visit then. Hiya, I am really glad I have found this information. Today bloggers publish only about gossip and internet stuff and this is really frustrating. A good website with interesting content, that’s what I need. Thanks for making this web-site, and I will be visiting again. Do you do newsletters by email? Hey there. I discovered your web site by means of Google whilst searching for a similar matter, your web site came up. It looks good. I have bookmarked it in my google bookmarks to come back then. Hiya, I am really glad I have found this information. Today bloggers publish just about gossip and web stuff and this is actually frustrating. A good website with interesting content, that is what I need. Thank you for making this web site, and I’ll be visiting again. Do you do newsletters by email? Hello there. I discovered your blog by means of Google at the same time as searching for a comparable subject, your website got here up. It seems to be great. I have bookmarked it in my google bookmarks to come back then. Hiya, I’m really glad I’ve found this information. Today bloggers publish only about gossip and internet stuff and this is actually annoying. A good site with exciting content, that’s what I need. Thank you for making this web-site, and I will be visiting again. Do you do newsletters by email? I’m commenting to let you be aware of of the really good encounter my child went through browsing the blog. She picked up lots of things, which include how it is like to have an amazing teaching character to make a number of people easily gain knowledge of specific complex things. You undoubtedly exceeded people’s desires. Thanks for distributing such practical, trustworthy, revealing and fun thoughts on your topic to Sandra. Hi there. I discovered your site via Google even as searching for a comparable topic, your web site got here up. It looks good. I’ve bookmarked it in my google bookmarks to come back then. I’m curious to find out what blog system you’re working with? I’m experiencing some small security problems with my latest blog and I would like to find something more safeguarded. Do you have any suggestions? Hey there. I found your blog by way of Google at the same time as looking for a similar subject, your website got here up. It looks great. I have bookmarked it in my google bookmarks to visit then. Hello there. I discovered your site via Google even as searching for a related topic, your site came up. It looks great. I’ve bookmarked it in my google bookmarks to visit then. Hiya, I’m really glad I’ve found this info. Today bloggers publish just about gossip and net stuff and this is really annoying. A good blog with interesting content, that is what I need. Thanks for making this web site, and I will be visiting again. Do you do newsletters by email? Hiya, I’m really glad I have found this information. Today bloggers publish only about gossip and internet stuff and this is really irritating. A good site with exciting content, that is what I need. Thanks for making this website, and I will be visiting again. Do you do newsletters by email? Hey there. I found your website via Google at the same time as searching for a related matter, your site came up. It appears great. I’ve bookmarked it in my google bookmarks to come back then. Hello there. I discovered your site by means of Google while searching for a comparable matter, your web site got here up. It appears good. I have bookmarked it in my google bookmarks to visit then.